The Minister of Health, Prof. Isaac Adewole says about 80 percent of Tuberculosis, TB cases in Nigeria are undiagnosed, meaning only one out of six TB cases in the country is diagnosed. Report says the problem of TB in Nigeria is also compounded by the emergence of multi-drug resistance cases, even as it is reported that TB claims over 1.5 million lives annually in the country in-spite of the fact that it is treatable and curable. Fresh Angle International can report that individuals and organizations such as Star Deep Water Petroleum Limited, (a Chevron Company) and the Agbami partners -Famfa Oil Limited, the NNPC, Petrobras and Statoil- - have keyed-into the Federal Government’s TB program by contributing their quota to the fight against the disease. The Agbami partners recently donated modern laboratory equipment to the University College Hospital (UCH), Ibadan, Oyo State and also handed over to the Federal Ministry of Health, the production of National Standard Operating Procedures (SOP) for TB laboratory diagnosis in Nigeria as well as national guidelines on biosafety for TB laboratories. The modern laboratory equipment donated to UCH is expected to transform the treatment of tuberculosis in the country. The UCH Chief Medical Director, CMD, Prof. Temitope Alonge stated that following the donation of the laboratory equipment, an 80 KVA generators and 20KVA stabilizer with two inverters to ensure steady power supply to the laboratory by the Agbami Co-Venturers, the story of treatment of tuberculosis in the country is expected to improve tremendously. 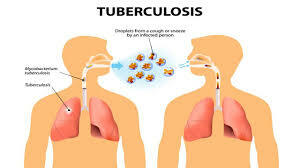 A report by Chevron Nigeria Limited revealed that a screening exercise conducted in Bayelsa State in partnership with National Tuberculosis and Leprosy Control Program, NTBLCP shows that out of 14,352 presumptive Tuberculosis cases screened, 2,126 cases were detected. Contact tracing among 701 smear positive cases yielded 321 extra smear positive contacts and 92 Multi drug-resistance tuberculosis (MDRTB) patients was identified, 53 treated. TB causes ill-health in millions of people each year and 2015 has one of the top 10 causes of death worldwide, ranking above HIV/AIDS. The World Health Organization, WHO in its 2016 “Global Tuberculosis Report” ranked Nigeria first in Africa and fourth in the world behind India, Indonesia and China. Nigeria is one of the six countries that accounted for 60 per cent of the total global TB burden last year, according to WHO report. It would be recalled that in 2016, the Agbami parties, partnering with Non-Governmental Organizations, launched a TB Awareness Campaign to sensitize people in Kano, Lagos, Kaduna and Rivers States, on the dangers of TB, its prevention, management and treatment.